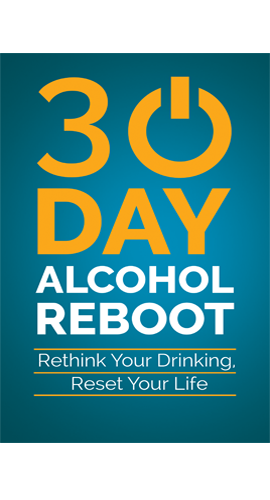 We all know that the actual process of quitting drinking alcohol is very, very simple… YOU don’t put the alcohol into YOUR body. If you follow this one simple rule, there’s nothing more to do. Having said that, what holds many people back from either starting this journey or progressively moving away from alcohol and advancing with their lives, is that so many parts of their lives must alter in order to achieve that end goal. People fear the extent of this change. And, when you look at it from a birds eye view, it’s a really big task. However, fortunately for us, we don’t live our lives like that. We live our lives moment by moment. Think about the snowball rolling down a hill. It starts out at the top as something very small, weak, slow, hesitant, uncertain. In no time it starts to move quicker, easier, it’s gathering magnitude, building momentum, accelerating. By the time it reaches the bottom of the hill, it bears no resemblance to that which started at the top. 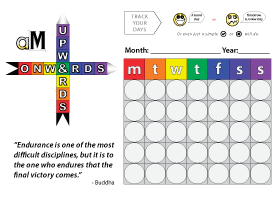 The same with your new journey… You start out with uncertainty, feeling not up to the job, hesitant and uncertain about the next step, lacking knowledge or experience, feeling weak. But as the days roll on, your experience grows. You put more distance between yourself and the alcohol. You take more steps towards the person you want to be. You feel stronger. You feel like you are growing in confidence. By the time you get to 6 months, a year, two years, your life will bear no resemblance to what it looked like at the beginning of your journey. You will have changed so much, beyond what you thought possible, and in ways you couldn’t possibly have thought about. That is what you have to tap into. And that is what can only be found within the confines of your own mentality. Stop looking anywhere else. You won’t find it. Start looking inside. Be your own biggest inspiration. 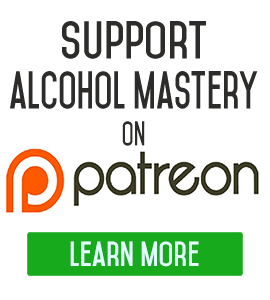 Today’s topic is that for many people quitting drinking can seem impossible. It can seem impossible until you’ve actually done it and you are over the line and you have quit and got away from the thinking drinking, the mentality of the drinker and then it just seems inevitable. It seems like it was inevitable, that it was going to happen in the first place. 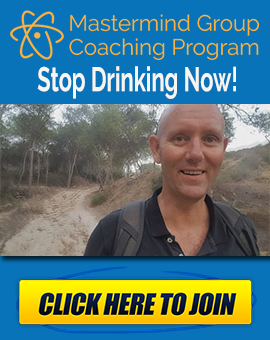 I can understand that for anyone starting out on this journey, it can seem really difficult but the act itself, the actually logistics of quitting drinking are very easy, they are simple, you just do not put any more alcohol into your mouth. Once the alcohol does not get into you, it can not affect you. If you don’t put the alcohol into your mouth, you don’t swallow it, you are no longer a drinker and whether you think of that in terms of a day, a month, a year, twenty years – the same thing applies. There are people who even after ten years, still consider themselves to be alcohol drinkers and that is down to mentality. It is down to where they’re starting from, it’s down to how they are processing things in their own minds. You have all of the parts that are left when you take the alcohol out of the equation, you try and reduce the alcohol behavior and when you try and extract that, everything that is left, all the gaps that are left, have to be filled. 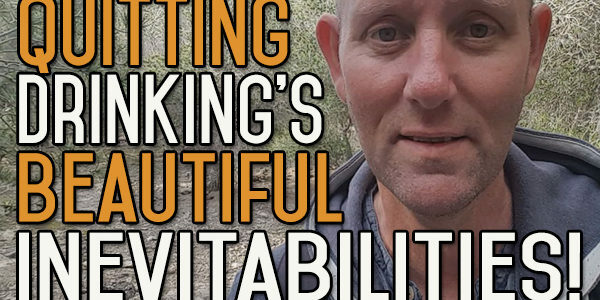 It’s the behaviour change, it’s this rebuilding parts of your life that were shattered because of the alcohol behaviour and rebuilding or constructing new habits to replace the old habits, constructing new habits that are going to bring you fulfilment, joy and happiness and all that type of stuff. This is what takes the time and where the hard work comes in. This is also where a lot of people fail because they understand this on a much deeper level then they realise. When you quit drinking it is not just about the alcohol, it’s about your social life, it’s about what you do when you get home at night, what you do when you can’t sleep, what do you do when this or that happens and you would normally turn to alcohol and what happens then? People understand that they’ve got to restructure and rebuild and construct many new areas of their lives and for a lot of people that just gives them so much fear, that it freezes them up and they decide they don’t want to change. They think they would rather stay with what they know, they’d rather be the same person that they are and risk the consequences further down the line, rather than put up with the uncertainty of change. And really, that’s very sad, it’s a defeatist mentality and it is your mentality you are defeating. Nothing outside of yourself can defeat you in this thing. The only way that you can continue to drink, is to continue to lift the glasses and pour them down your mouth. The only way that you can stop drinking, is to stop doing it and everything else is dependent on how you look going forwards, how you perceive your own future and how you view your own future. It’s having that sense of direction, first of all, first and foremost, knowing where you want to go from and what you want to get away from, the person that you are now. You don’t have to get rid of every single aspect of who you are now, we change as the years go by anyway and we know that these changes happen in a very gradual way. Sometimes it’s not very ordered but it is very gradual and processional. “I can’t really get to that point, I can’t see myself as not being a drinker and this is an impossible situation to be in” – is to look at some of the things that you have done in your past which you first thought were impossible to do. We’ve all got these things in our past, big and small things, that when we first tried to tackle, we thought were impossible to do. We thought that there was no way that we could do this, but gradually, slowly and surely we built up the skills or experience that was necessary to take us over one level and the next and the next and gradually we climbed a ladder and we got to where we wanted to go and when we got there we saw that although it may not have been very easy, it was very simple. When you look at the processes, as they say 20 20 vision is perfect, and this is one of the ways to do this is. Try and look back at your past and look at those seemingly impossible tasks that you have achieved in the past and use those as a springboard for your future success. At least use them as a springboard to get you to take that first step. Reaching your goals is all well and good getting to the place where you feel you don’t want to drink any more, that you will never drink any more – that’s all well and good too, but just as important as reaching that goal is taking that step and saying – “Right now I am not going to drink” and then taking the next step and the next step after and that’s how all all this progress is built up. So take up with your own well of personal inspiration, look at the things that you once thought were impossible and that will give you just enough momentum to make the first step, to take the start and once you start, you start building momentum and after a while you start to see your own goal. You start to see that person who doesn’t drink anymore, that person who probably doesn’t think about drinking and it might take a little bit of time to get there, but you’ll start seeing that it is possible to become that person and then you’ll start to see that person and when you get there and then you will get there, finally you will see things as being inevitable. They were inevitable all along, you had it in you all along, all you had to do was take those first steps and climb your own personal mountain. It’s a good journey, it’s a tough journey sometimes, but those tough days are the ones that really bring you to the next level. They give you the strength to not only do this, and to carry on doing this, but to do the multitude of other things in your life that are going to take you to the person you really want to be. Stay safe and keep the alcohol out of your mouth. Take care and good luck to you.